JIPMER Result 2019: Below are the latest results published by JIPMER - JIPMER - Jawaharlal Institute of Postgraduate Medical Education and Research / jipmer.edu.in. The recent result announced by the organization is Project Technician III Result 2019. JIPMER Project Technician III Result 2019: JIPMER - Jawaharlal Institute of Postgraduate Medical Education and Research has announced the Result on 08 Apr 2019 for the exam . JIPMER Project Technician Result 2019: JIPMER - Jawaharlal Institute of Postgraduate Medical Education and Research has announced the Result on 08 Apr 2019 for the exam . JIPMER Nursing Officer Result 2018: JIPMER - Jawaharlal Institute of Postgraduate Medical Education and Research has announced the Result on 11 Jul 2018 for Nursing Officer Exam 2018 . JIPMER Nursing Officer/ LDC Result 2018: JIPMER - Jawaharlal Institute of Postgraduate Medical Education and Research has announced the Result on 15 Jun 2018 for Nursing Officer/ LDC 2018 . 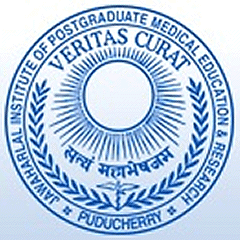 JIPMER MBBS Rank Card 2018: JIPMER - Jawaharlal Institute of Postgraduate Medical Education and Research has announced the Result on 13 Jun 2018 for the exam . JIPMER MBBS Result 2018: JIPMER - Jawaharlal Institute of Postgraduate Medical Education and Research has announced the Result on 09 Jun 2018 for MBBS Entrance Examination- 2018 . JIPMER has announced the Result on 04 Aug 2017 for the exam which was conducted on 31 Jul 2017 to 01 Aug 2017.